Carrara, Australia, April 7 (Indian Express): India men’s hockey team’s campaign at the Commonwealth Games began much the same way as it did for the women – with a disappointing result. While the women had lost 2-3 to Wales on Thursday, the men were held to a 2-2 draw by Pakistan on Saturday. Even though the men go back with a point, they would rue throwing away a 2-0 lead. But more importantly for the side, Pakistan scored on a controversial penalty corner call with time already up. India found the back of the net courtesy goals from Dilpreet Singh and Harmanpreet Singh but thew it all away to allow Pakistan’s Muhammad Irfan Jr to score before Ali Mubashar’s strike equalised matters. India now have a chance at getting their first win against Wales when they take the field on Sunday evening. India made more of the circle penetrations and held more of the possession but couldn’t make it count. The most telling statistic, however, remained of India not getting a shot on target in the second half. 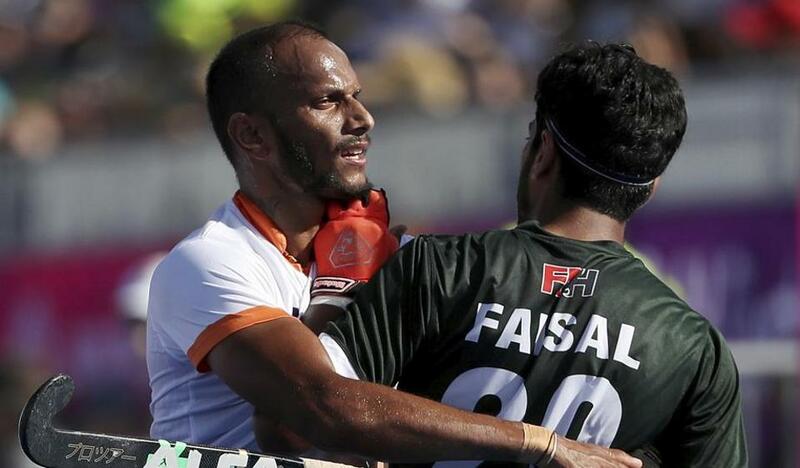 With seven seconds to go, Pakistan earned a penalty corner which India opted to review. It was then that India made a save and was cleared away by Rupinder Pal Singh from inside the area. Even though the replays suggested India were in the clear, the video official felt it had hit a foot to force another penalty corner. On the eighth penalty corner of the game, Mubashar sent the strike low and to PR Sreejesh’s right to bang the board and ensue celebrations among the Pakistan camp. At the other end, India were left shocked with the decision to award the resulting penalty corner and a livid India coach Sjoerd Marijne made his anger at the official known. India took the lead in the 13th minute of the game when Dilpreet Singh found plenty of space at the far post on the back of a quick break. SV Sunil made a neat pass across the face of the goal to put Dilpreet clear and he converted the first clear cut chance of the game. Harmanpreet Singh doubled India’s advantage seven minutes later as he converted a penalty corner. On third PC of the game for India, Harmanpreet took over duty of getting a shot on after Rupinder missed his first two shots. Pakistan went to review but it resulted to nothing as the goal stood. In the second half, Pakistan reduced the deficit when Irfan Jr. made the most of India’s poor defending. After a swift reverse pass that allowed a player in green through, he played Irfan on who had no trouble in sliding the ball home.